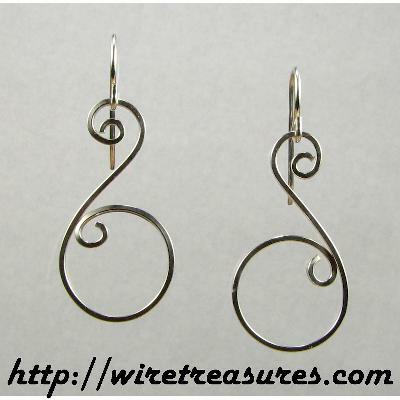 Large stylized "S" earrings fashioned from Sterling Silver wire. I can also make these with hammered wire like these gold earrings! You are visitor number 4,700 to this page.